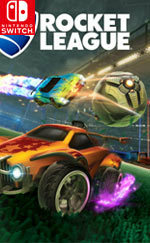 Winner or nominee of more than 150 'Game of the Year' awards, Rocket League is a high-powered hybrid of arcade soccer and driving with rewarding physics-based gameplay. Take to the pitch for a fully-featured offline season mode, multiple game types, casual and competitive online matches, and special "Mutators" that let you change the rules entirely. Express yourself with one of the deepest customization systems around and battle opponents on other platforms with groundbreaking cross-network play! This is a game that rewards skilful play and perseverance, and new tactics and strategies seem to flow from each and every match you partake in. Only the occasional network niggle throws shade on this otherwise sublime release; the Switch has yet another must-have release to add to its awe-inspiring 2017 pile. 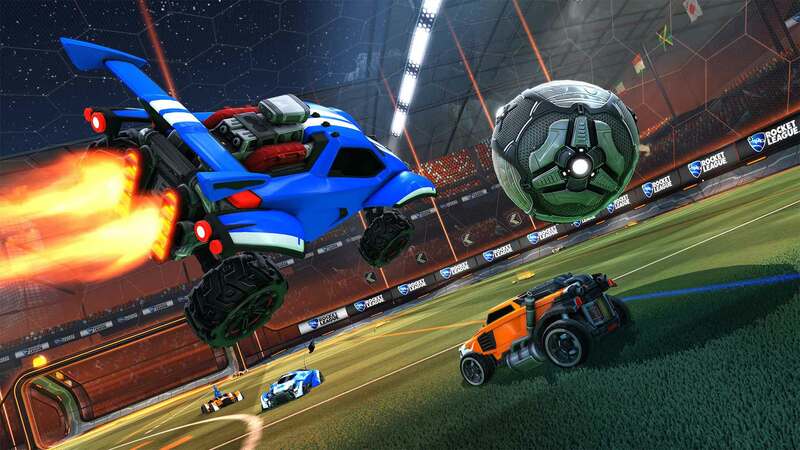 Aside from a few online connectivity hiccups and some small graphical shortcomings, Rocket League is still a fun and joyful experience to behold. It’s addictive and chaotic nature alone make it a must-own for Switch owners who want to get their next multiplayer fix. Rocket League is one of my favorite releases of the last few years. 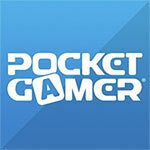 Having a portable version that lets me easily jump online at any Wi-Fi hotspot is amazing to me. I’ve been playing quick matches while waiting for the NYC subway and during my lunch break at work. Rocket League is a fast, frenetic and addictive game, and playing it while on the move ensures that you won't feel compelled to put it down until your Switch's battery runs out. While this isn't the best-looking port, its smooth and stable performance makes up for it, and being able to play it on the move is a great twist on a winning formula. The formula that has kept Rocket League fresh translates exceedingly well to Nintendo’s hybrid system, whether docked or portable. 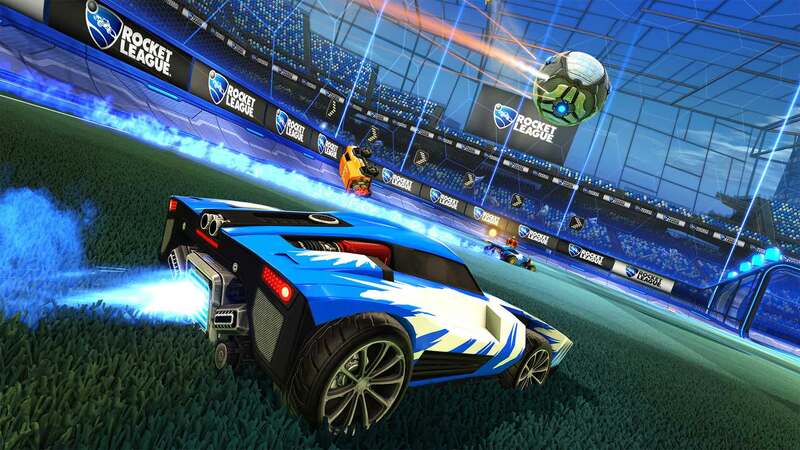 Less polished visuals are a small price to pay to be able to play Rocket League anytime, anywhere, at a performance level that never quits, though the notable jaggies and (through no fault of its own) a hindered party system mean that the Switch version isn’t the most competitive version of the game. For people new to the game, they have a lot to look forward to regardless, as it's one of the most fascinating sports games in memory. Nevermind if you don't like soccer or couldn't care less about the growing esports community. Rocket League is a unique game that redefines the concept of what a sports game can be, and Psyonix continues to support it with new content on a regular basis. It's been around for a while, but now that it's on Switch, there's no better time to give it a shot. The controls and moveset are near perfect for what the game’s trying to do, and the range of options and modes impressively complete. Multiplayer is great online and off. The physics can seem a little too floaty at times, and it’s sometimes difficult to keep track of the ball in a particularly frantic match. Minor visual compromises on Switch. All this is especially amazing when you consider the much less well-known predecessor Supersonic Acrobatic Rocket-Powered Battle-Cars, but now the formula has been tweaked and refined and has really struck a chord with a lot of gamers (the old name certainly didn't help either). Whether you're new to the game or an old hand at it, and even with its graphical downgrade, Rocket League is as much fun as ever on the Switch. There is a Switch version of Rocket League, and I couldn’t be happier. The game performs well both in docked and handheld mode. The Nintendo themed cars are a fun and fulfilling addition the line of cars available. Rocket League on the Switch is like winning an all expenses paid vacation to Florida. Yes, it’s Florida, but you still won a free vacation. Ya se mencionaron las falencias técnicas y la decisión de comprarlo (o no) por ellas dependerá de ustedes. En plan de conclusión diría que el port es positivo en tanto que atendió al elemento principal: el cómo se juega. Aunque no es perfecto y confío en que los desarrolladores ya trabajan para optimizar la experiencia lo más posible. 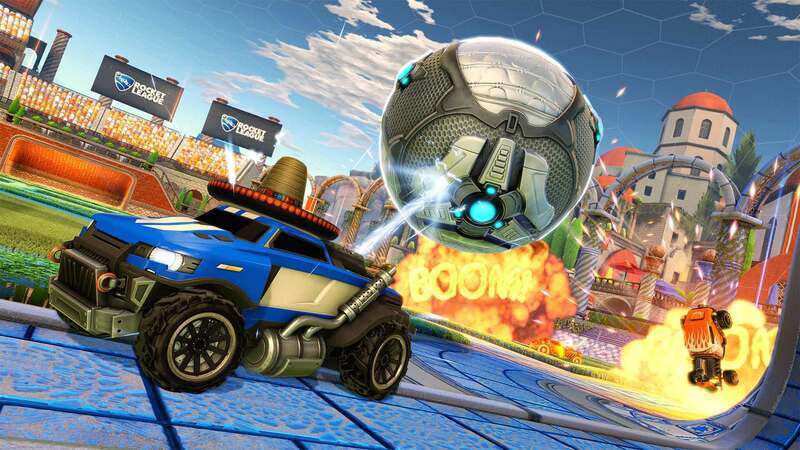 Psyonix tocó el cielo con Rocket League. El juego pedía a gritos el paso a una consola portátil y la versión de Nintendo Switch, a pesar de su bajón gráfico, ha sabido estar a la altura de los elementos que caracterizan al exitoso videojuego competitivo con un precio muy ajustado. 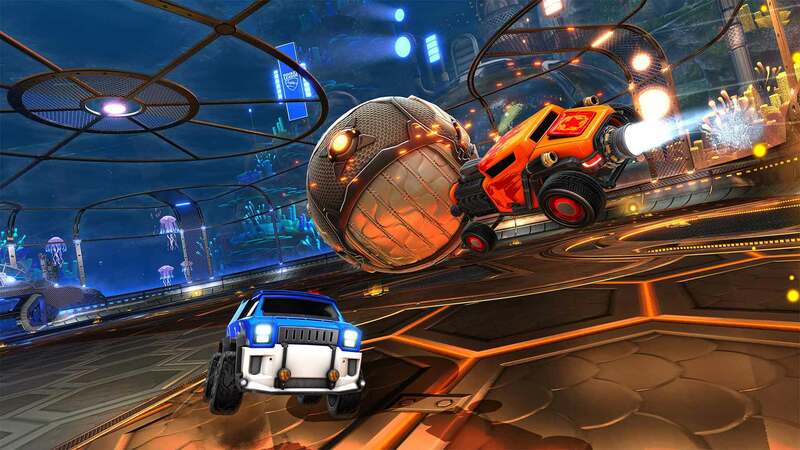 Rocket League en Nintendo Switch consigue ofrecer toda la jugabilidad y características del juego original, y le añade una dosis extra de portabilidad y el modo a pantalla partida. El precio que paga por ello es un ligero empeoramiento gráfico, pero no se trata de algo que nos vaya a hacer llevarnos las manos a la cabeza. En resumidas cuentas, una versión brillante de uno de los juegos deportivos más importantes de la actual generación de videojuegos. En cualquier caso, el juego sigue divirtiendo y se sigue jugando genial. 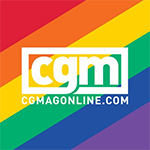 Hay algunos contratiempos inherentes de la consola, como la complejidad del chat de voz que dificultan la experiencia si queremos jugar con amigos online, pero su esencia se mantiene intacta. A estas alturas, ya sabemos cuáles son los pros y los contras de un juego multiplataforma en Switch, así que en vuestra mano está saber si esta versión de Rocket League es para vosotros. 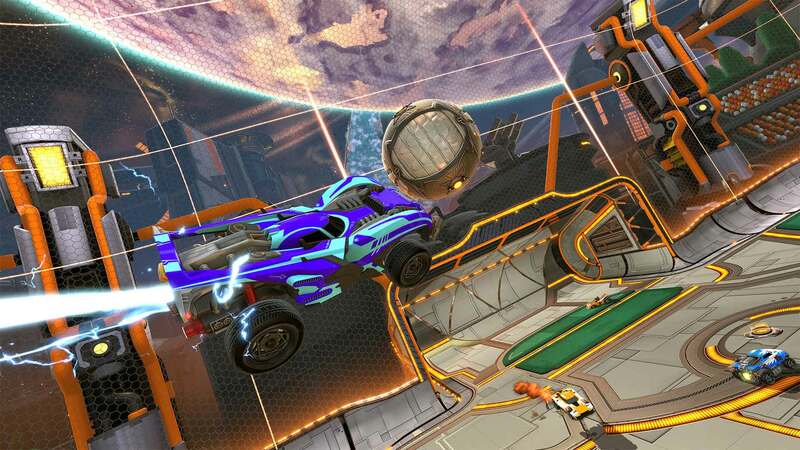 Rocket League sur Nintendo Switch est toujours aussi fun, gardant la profondeur de gameplay de la version originale sans toucher à la fluidité. Toutefois, visuellement, le 576p variable pique vraiment les yeux et l'aliasing est tellement présent qu'il es impossible de ne pas le remarquer. Vous ne raterez pas de ballon à cause de ça, mais au moins, vous savez où vous mettez les pieds. Rocket League reste une bonne affaire et il y a peu de chance que vous vous y ennuyez. Rocket League partout avec soi au prix d'un portage un peu crado ? L'arbitrage se fera en fonction de votre appétit pour les expériences multijoueur de qualité, quitte à faire abstraction des concessions graphiques. Les développeurs ont fait de la fluidité leur priorité n°1, quitte à activer les guirlandes de Noël partout sur le terrain et sur les caisses ; tout ça pour dire que sur la télé, l'aliasing pique les yeux, surtout si vous aviez pris l'habitude d'afficher le jeu en 4K. No fim, o que interessa é que manteve toda a jogabilidade e modos que tornam Rocket League numa das melhores experiências multijogador na pequena consola da Nintendo. Sonuç olarak Rocket League, Nintendo Switch'in ihtiyacı olan bir çevrimiçi oyundu. Oyun üzerinde grafiksel olarak oynansa da oyunun ruhu birebir aktarılmış. Ayrıca, Nintendo Switch'in temelindeki "İstediğin yerde, istediğin zaman" kavramı, her oyunda olduğu gibi Rocket League'de de bir artı.